In September, I visited El Dorado County for the second time, my first time returning since fall 2016 when I met and tasted with Greg Boeger of Boeger Winery. This trip, I was graciously hosted by Visit El Dorado and ventured beyond the wine to whitewater rafting. My first whitewater rafting experience was many years ago during a Spanish summer abroad program in Costa Rica and I loved it. Therefore, I was thrilled to return to the rapids of the South Fork of the American River with Raft California and guide and operations manager, Anna Weber. I wish I could think of a more polite word, but Anna is badass in every way. She inspired me so much that I decided to interview her. Below are my questions and her answers. What kind of experiences does Raft California offer? Raft California offers whitewater rafting trips for ages four and up, from mild Class II to wild Class V. With over 40 years of experience, Raft California provides both day and multi-day trips on over 12 rivers in the state of California. The beautiful rivers for which we offer commercial rafting trips range from the gateway of Sequoia National Park all the way to the Oregon border. Some of our river offerings are nationally preserved wild and scenic stretches! The raft guides are also the chefs and cater delicious riverside meals to accompany the trips. Over the years, we have branched out to include hot springs, wine tours, and fishing whitewater trips – all fun ways to spice up a rafting outing! What makes Raft California different from other rafting companies in El Dorado County? Our staff and our river offerings are what set Raft California aside from other companies in El Dorado County. Our campground is over 60 acres of private grounds and includes beautiful riverside camping with canvas tents and riverside dining. The staff is extremely experienced – many with over a decade or two of guiding experience. Select guides on our staff head to the southern hemisphere in our off season to pursue the same line of work because of their passion for whitewater rafting. Our claim to fame is the long list of permitted rivers that we offer. If someone rafts with us in El Dorado County and wants to explore more rivers in our state, Raft California can offer that. What drew you to become the operations manager and raft guide for Raft California? I began as a raft guide for the company. I was often appointed head guide and trip lead for many of our trips. Our general manager knew that I had prior managerial experience in a similar industry which led him to ask if I would like to manage the South Fork American day trips that we offered. This quickly morphed into a river manager position, and this season, grew into an operations manager role. I enjoy the challenge of managing and decided it would be best to continue this line of work in the summer. This enabled me to free up time in the winter to travel and play in the snow. How long have you been with Raft California? I have been full time with Raft California officially since 2015 but helping part time since 2012. What qualifications are required to be a raft guide? What does a raft company operations manager do? The qualifications required to be a raft guide are different all over the world. In the United States, it varies by state. To be a raft guide in California, many people attend a guide school. These are offered by many commercial companies including Raft California. After completing guide school, raft guide candidates train on each river section until they are deemed capable of guiding commercial guests by a senior guide staff member. In Maine where I learned how to raft guide, each raft guide must additionally acquire a Maine Whitewater Guide’s License through the Maine Department of Inland Fisheries and Wildlife. The duties of an operations manager at Raft California consist of overseeing the operations! I manage a staff of coordinators appointed to run the grounds and facilities, river trips, meals, transportation, and satellite operations, like our base for the Truckee River located in Truckee, California. Anything Raft California related that happens outside is the operations manager’s domain. This also includes raft guide housing and handling the guide, scheduling, and reporting aspects of our computer system. Please share one or two memorable rafting trips and why they are unforgettable. Oh man, I love this question. There are so many memorable rafting trips and I could write about this all day because every trip is different. Sometimes the trip is so memorable because of the chemistry between the guests. Other times it is because of the weather that day or the wildlife we were lucky enough to see. For me, sometimes rafting trips are memorable because it is not a commercial trip and I am in an exotic place with my friends or family experiencing a new river. I took a couple rafting in the spring. Only a husband and wife in their mid-60s who had never been rafting before had signed up for a day trip on the Chili Bar section of the South Fork American River. When our shuttle driver had left us, they, especially the wife, seemed extremely nervous. There was no one else except for the three of us. They could not imagine we would get down the river safely with the power of only three people. After navigating the first Class III rapid with no problem, they eased up a little bit. About an hour into the trip a bald eagle flew up the river at eye level and landed on a tree branch hanging over the water. As we floated by it watched us and we watched it. After we passed by it would leap frog us and land on another branch on the opposite side of the river downstream looking at us until we floated by. No one said anything. This leapfrogging with the bald eagle and our raft lasted for almost a mile until it flew off. The look of amazement in their eyes was indescribable as the husband blurted out “Did you see that ******* bald eagle?! It was ******* AWESOME!” Everything – from the silence on the river that day (we did not see another boat), to the eagle experience to this man’s ridiculous exclamation – made this one of my favorite commercial trips. My most memorable non-commercial rafting trip was the first time I was lucky enough to float down the Colorado River through the Grand Canyon. This was for many reasons, but particularly the weather. Our group of seven had landed a permit to float this section during monsoon season. We were taking a day off from rafting to enjoy our campsite, “Matkat Hotel,” for two nights and a whole day. Our timing of choosing to lay over on this day was impeccably coordinated with the weather. The first night we were camping here, a thunderstorm rolled in. This was not just any thunderstorm. It was the granddaddy of monsoon thunderstorms. All night it poured rain and the thunder boomed through the canyon amplified by the canyon walls. At sunrise, we were greeted by what seemed like hundreds of gigantic waterfalls pouring in from every inch of the canyon walls. Depending on the drainage, each waterfall generated caused the water to be a different color. The juxtaposition of each waterfall’s color was unreal as they each cascaded into the opaque brown of the Colorado River. The Colorado was carrying massive amounts of tree trunks and debris from flash flooding tributaries upstream. The amount of sediment in the water would conceal these huge hazards from sight until the turbulent current would swirl them around until we would see a giant tree trunk shoot randomly shoot out into the air. Needless to say, this day I was glad to be a spectator from the bank of the river in the right place at the right time. When is rafting season in El Dorado County? Commercial rafting season in El Dorado Country is from Memorial Day weekend through Labor Day weekend. Raft California typically takes guests down our rivers from March through October. If a group wants to go winter rafting, and the river levels are navigable, we will take them! What kind of work do you do in the off season? I snowboard as much as possible during the winter season. Teaching, training, and managing at ski and snowboard schools has made it possible for me to do this during the winters since 2002. There was a short stint I worked at a Heli Ski Lodge in Alaska. I also travel during the winter months. The past few years, I traveled to Japan, Alaska, and France for snowboarding endeavors. When you are not rafting, what else do you enjoy doing? If I am not playing on the river or on the snow, you will often find me sleeping, seeing live music, or cooking. In recent years, I have learned mountain biking, which has provided me with a new challenge! During my experience with you, I discovered that whitewater rafting is a great metaphor for life. Do you agree? If so, how? Absolutely, whitewater rafting IS a great metaphor for life. You must go with the flow. You cannot fight against the current. Sometimes you need to eddy out. I decided this year that I am rigged to flip for life! When asked to describe my 2017 in one word, my immediate response has been challenging. The first things that come to mind are the sudden death of my mother in January (Obscurity Thwarted), an unexpected tax bill in March, my health scares in January and May-June, then the Napa and Sonoma wildfires in October (A TWC Update: 2017, wildfires, recognition, and Villa Maria). I decided to reread my website articles from the past year and categorize them. I realized that despite the challenges, I live a simple, charming life here in the Napa Valley. It is not easy living solo in a place far away from my real home, which in my heart will always be the East Coast. Villa Maria Estate: The Beth’s Smart Sip Trifecta! You had me at aphrodisiac! I am truly honored to be recognized by wine writing mentors, winning a Born Digital Wine Award in the category of Best Tourism Content with a Focus on Wine for my piece, Lodi: Beyond the Zinfandel. I still cannot believe I won. Thank you to all of you who read and support my writing. 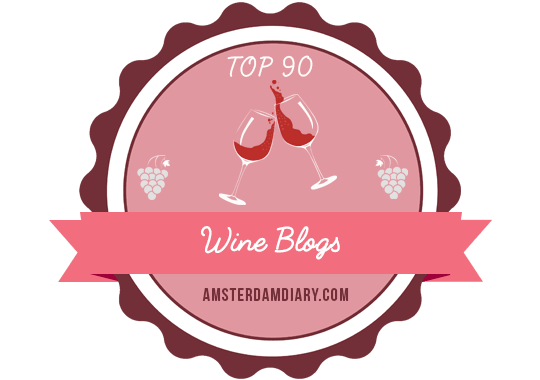 My website was also recognized by 10greatest.com as a top wine blog. In 2017, I contributed to five other outlets: basil & salt magazine, Drizly, Snooth, American Winery Guide, and Cellar Angels. I did not realize I had published so much. In fact, all year I have been feeling guilty for not doing more. I accepted fewer wine samples due to my lifestyle change, and instead, opted for more wine destination experiences, which I prefer. Through my words, you and I visited East Coast destinations such as Maryland, Pennsylvania, and New York. You accompanied me on my travels to Amador, El Dorado, Napa, Placer, San Joaquin, Santa Barbara, and Sonoma Counties in California. By way of my palate, I took you to Argentina, Chile, France, Italy, New York, and New Zealand. I wrote about my favorite wine movie, my philosophy about tasting notes, and craft beer. Below are my articles for these other outlets, in case you missed them. I was much more prolific than I imagined. In light of all that I have accomplished and enjoyed throughout the year, I have changed my one word to describe 2017. The new word is love: self-love, love of the written word, love of wine experiences, love of travel, and love for you, my readers. I wish for you in 2018 the kinds of love I have discovered this year in the face of great challenges. May 2018 be our best year yet. When people think of Maryland, they probably think of crab cakes. I know I did until my recent trip to Maryland for TasteCamp, an annual immersion weekend for those of us who write about or work with wine and other craft beverages. Here it is November already. I don’t know about you, but it has been a heck of a year for me. In January, I lost my mom unexpectedly. When I returned home from traveling home for the the funeral, I became so ill that my doctor thought I had pneumonia. When she sent me for X-rays, the radiologist thought he saw a mass. After another round of X-rays, they realized that the mass was bone. March then arrived with an unpleasant surprise: I discovered I owed a an unexpectedly high amount in federal and state taxes. A couple of months later, I had another health scare, an abnormal mammogram, which, after two ultrasounds and another mammogram, turned out to be a tissue density change. Then last month, I witnessed the devastation of the Napa and Sonoma wildfires. I woke up around 1:00 a.m. on Monday morning, October 9, thanks to my cat and an explosion of Nixle text alerts on my phone. A friend who lives just a couple of miles from me had to evacuate her home that night, which threw me into a tailspin as well. At 2:00 a.m., my suitcase was packed by the door and couldn’t go back to sleep. After a couple of more uneasy days and sleepless nights, I realized there was nothing preventing me from evacuating voluntarily. I left on Wednesday, October 11, just prior to the announcement that my apartment complex was part of an advisory evacuation. My instinct has always served me well and this time was no exception. On Sunday morning, October 15, I returned to Napa. As I was driving home, the Nixle alert announced that the advisory evacuation had been lifted for my area. Again, I knew in my heart it was time to return. I learned some hard life lessons during those five days when I didn’t know if I would have a home to which to return. In spite of what happened to me, I am thankful that I had a place to stay. I was fortunate not to have lost anything but a bit of my faith in humanity. Two of my co-workers lost everything in the Atlas Fire. A winery a mile and a half from where I live burned to the ground. Countless others suffered, too. I was blessed to escape tragic losses that cannot ever be replaced. My heart will heal in time and I will learn to trust again. I would be remiss if I didn’t publicly thank CAL FIRE, first responders, local law enforcement, and other emergency personnel for their tireless hard work during the fires. I also want to thank my friend, Christine, of OMG I so need a glass of wine or I’m gonna sell my kids, who was and is there for me in so many ways. If you want to help others who lost so much during the fires, please click this link to see where you can make a difference. In the midst of the fear of the wildfires, I received some unexpected, happy news. I was shortlisted for my first writing award for a piece I wrote last year entitled, “Lodi: Beyond the Zinfandel” in the Born Digital Wine Awards, in the category of Best Tourism Content with a Focus on Wine. I cannot tell you how much this glimmer of positivity meant to me during this heartbreak. After six years of wine tourism and wine writing, someone finally took notice of my work. It is only November 2, 2017, but life appears to be looking up this month I am excited to announce that I have been asked again to be the writing and social media lead for the upcoming First Sip of Fall – Villa Maria Twitter Tasting on Wednesday, November 15 at 5:00 p.m. Pacific Time. If you follow this website, you know that I have written about and sipped Villa Maria wines no fewer than eight times since 2012. I am honored that the team at Villa Maria has entrusted me with getting the word out about their new releases. Stay tuned for more information about Villa Maria and this special tasting. In every moment is the opportunity to start over, let go, begin something new, be happy, forgive, travel, live, and love. This is my moment.